The Splendid Sampler Block 40 by Me and My Sister Designs was released today! Flights of Friendship is a fun little block with a rainbow of colors! This block is one of the 100 free blocks in the Quilt Along organized by Pat Sloan and Jane Davidson! I could not help but match up an adorable array of colorful items to match the whimsy of the block! I created my block with colors from my scrap bins, background fabric is a scrappy collage of Zen Chic Modern Backgrounds for Moda Fabrics and I pieced the block using Aurifil 50wt thread in a neutral shade. You can make this block and all of the thirty nine other blocks for free by visiting The Splendid Sampler! There are two blocks released every week on Sunday and Thursday. This is a mystery block! You never know what will be coming your way until the day of release! Could be appliqué or pieced! Might be a paper pieced or embroidery block. I have found this to be an EXCELLENT skill building event! 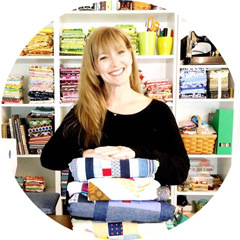 You will enjoy this very active group of designers and supportive sewing friends! 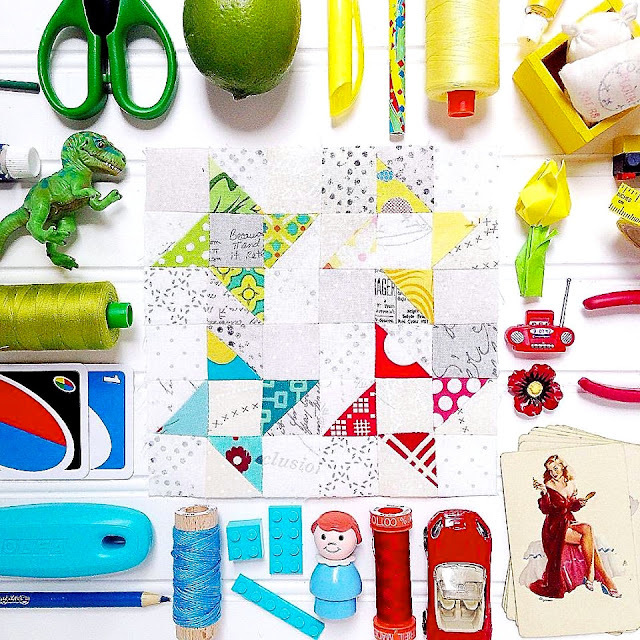 If you have not tried all the techniques that are presented, there is support from many experienced quilters that are happy to help! Alyssa from Penguin and Fish has been graciously Periscoping tutorials for people to watch and ask questions live! There is no time better than now to join the party! Visit The Splendid Sampler to find out more! I like such creative blogs. I must say that your is the best one. I am always looking for inspiration and interesting idea. Use top to be more informed about wrirings.